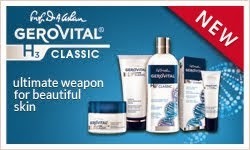 Home » anti-wrinkle » collagen » cutaneous ageing » Gerovital H3 Evolution » serum » women aged 45+ » wrinkles » FACE SERUMS: WHAT? WHY? HOW? Premature ageing, dehydration, dullness, redness, lack of firmness, fine lines & wrinkles, discoloration & spots, uneven skin tone, acne, they are all facts of life, but these powerful skincare products called “serums” can combat the enemies of your skin and halt the ageing process to keep your complexion looking younger for longer. Face serums are a fairly new addition to our skin care routines. They are thick liquid-like products with active ingredients like vitamins and anti-oxidants that are formulated with smaller molecules so they can penetrate deep into the skin. A facial serum or a facial moisturizer? Because of their concentrated ingredients, serums tend to be pricier that a moisturizer, so it is natural to ask: a serum, a moisturizer, or both? What is the best option for us? People are often confused about the differences between a moisturizer and a facial serum, and may be unsure if they should use one or both products. While facial serums can give you added moisture, the main reason you’d want to use a facial serum is to get added nutrients into deeper layers of your skin that a regular moisturizer is not able to reach. The beauty of serums is that they are more concentrated and they are designed for penetration to the skin which is that makes them powerful corrective products. They tend to have a thinner consistency than a moisturizer and that is because serums are all about action and correction. Due to their large molecules, moisturizers can only penetrate the first layer of the skin, allowing them to hydrate and seal in moisture. A facial serum is able to penetrate into all three layers of the skin because it is made of smaller molecules. The serums ability to go deeper into the skin is what allows it to help combat many common beauty complaints. Of course skin care companies would like to make you believe that you need both, but that is not always true. If you have a problem with your skin that you'd like to improve, such as dark spots or early aging signs, a serum can help. Also, if your skin is very oily, a serum can give you enough hydration. But, if your skin is happy with your regular moisturizer alone, there is no need to rush off to buy a serum. How to choose the right serum? Serum can treat a wide area of concerns whether is acne, photo-damage, premature aging, there is a serum up there that is right for you. When choosing a facial serum, keep in mind your skin type, whether it is oily, dry, combination or sensitive. 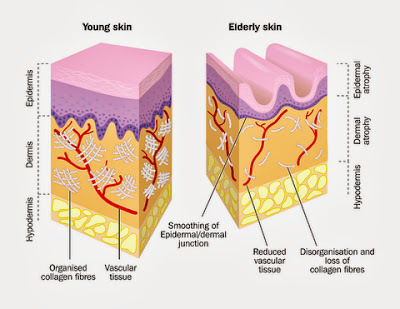 Then, determine what issues you are trying to prevent or correct, and find products that contain ingredients to combat these issues, such as antioxidants to prevent aging, retinol (commonly referred to as vitamin A) to reverse aging, or hyaluronic acid to keep your skin nourished. Some skin serum ingredients are useful in fading dark spots on the face, while others give a healthy glow to dull, grayish complexions. Using a serum that’s just right for you will go a long way toward improving the appearance of your skin. For dry skin: Layering a serum under your moisturizer can help boost your skin. Look for serums that contain hydrating ingredients like hyaluronic acid, or you could also opt for a face essential oil for added nourishment and vitamins. For fine lines and wrinkles: Look for serums that contain ingredients like hyaluronic acid, vitamins that help cell regeneration and removes the formed “free radicals”, ceramides, essential oils or collagen. For Oily Skin: Using a serum is an excellent choice for oily skin types, because the lighter consistency won't leave you feeling greasy. Look for products formulated with glycolic acid or retinol to help smooth your skin's texture, accelerate cellular turnover, and prevent clogged pores. Vitamin C is also an excellent ingredient; it provides antioxidant protection while also reducing redness and inflammation often associated with acne-prone skin. For Combination Skin: Look for a serum that targets your specific skin concerns. There are plenty of formulas on the market that help reduce dark spots and scarring, add antioxidant protection, smooth skin, reduce redness, and more. Serums are your secret weapon to targeting your skin imperfections. How to properly apply a serum? First start with your toner. Then apply the serum. Pour about 4 drops into your fingers and press it into the skin, making sure that is absorbed. Use a serum once a day, in the morning, after you cleansed your skin. It’s important to remember that serum is so active, that you need to apply your serum to clean, dry skin (but if your skin is very dry, you can apply the serum right away, when skin is still damp to seal in as much moisture as possible). 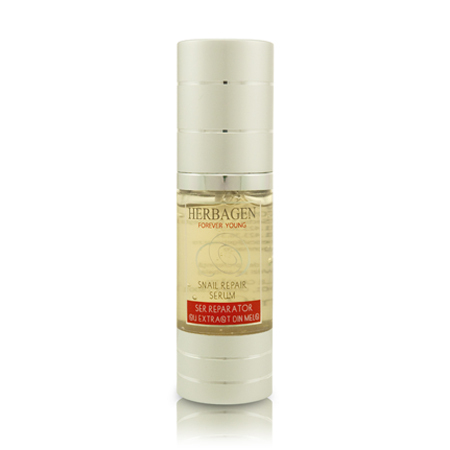 Wait a few minutes until the serum is fully absorbed, and then apply your moisturizer. That will allow you to lock and increase the benefits of the serum. You can use more than one serum to give your complexion a well-rounded approach to skin care and protection. Apply anti-wrinkle serum twice a day to receive the full benefits of its nutrients. 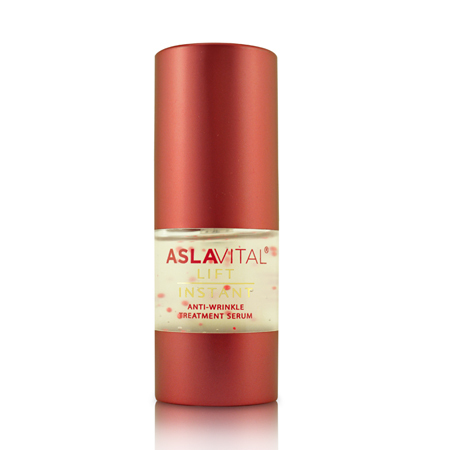 An innovative fluid gel, specially designed for areas most fragile around eyes, around lips and forehead. A best selling that dramatically counteracts all signs of aging, restoring vitality and radiance to the skin. An intensive firming serum with a light and non-sticky texture that penetrates easily the skin making it smooth, soft and radiant. Contains 99% garden snail extract, a powerful active natural and ecologic ingredient with miraculous regenerative properties for the skin.